for you and your personal property. Obtain eIDtags through a Fundraiser or online. Payment is made Online Only to activate Lost & Found Service. Choose items important to you. Codes on Tags protect your identity. Someone has found your lost property and contacted eIDtag.com. They left you a message describing where you can retrieve the property. 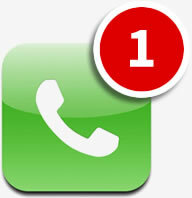 You receive a voicemail and an email with the finder's message. eIDtag makes it that simple. Attach eIDtags to your personal property. 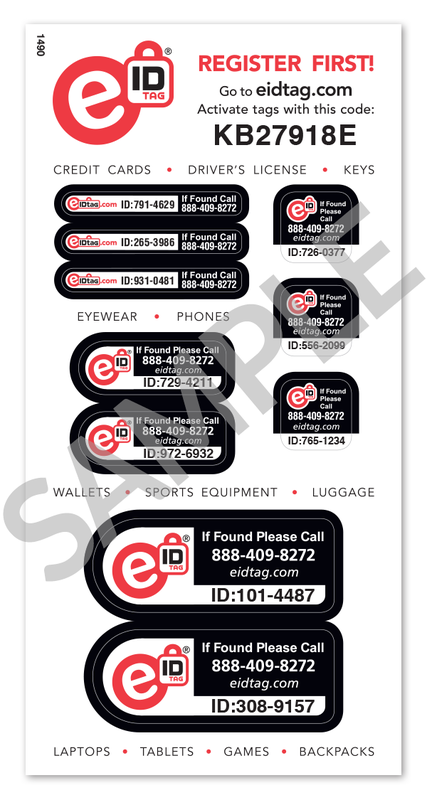 Your personal information is shielded behind your eIDtag ID Code. Toll free number enables quick call, input of eIDtag® ID, and a voice prompt which directs caller to leave details of safe place where property can be collected. Access your account from any Web enabled device. Property Owner receives voicemail and email in real time, 24/7 immediately following Finder's Call. Your personal property notifications can go just to you, or anyone else you assign. For instance, notify your significant other's phone if yours is lost. Manage your subscriptions, tagged items, and personal information quickly and easily through our web-based Account Dashboard. Help raise money for your initiatives by becoming a fundraiser. 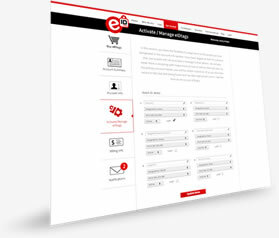 Looking to increase your revenue? Let eIDtag help.